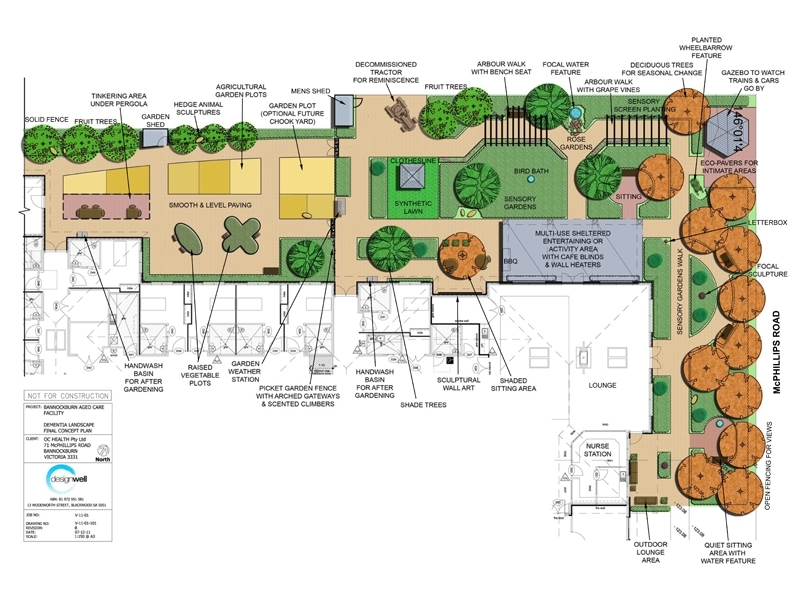 The concept design for this facility was developed using a layered approach to address various issues including accessibility, safety, meaningful activities, sensory stimulation and socialisation. A series of courtyards and a dementia-specific landscape were the brief. Considering that the majority of residents are from rural/farming backgrounds, the design responded to making connections with their rural past. 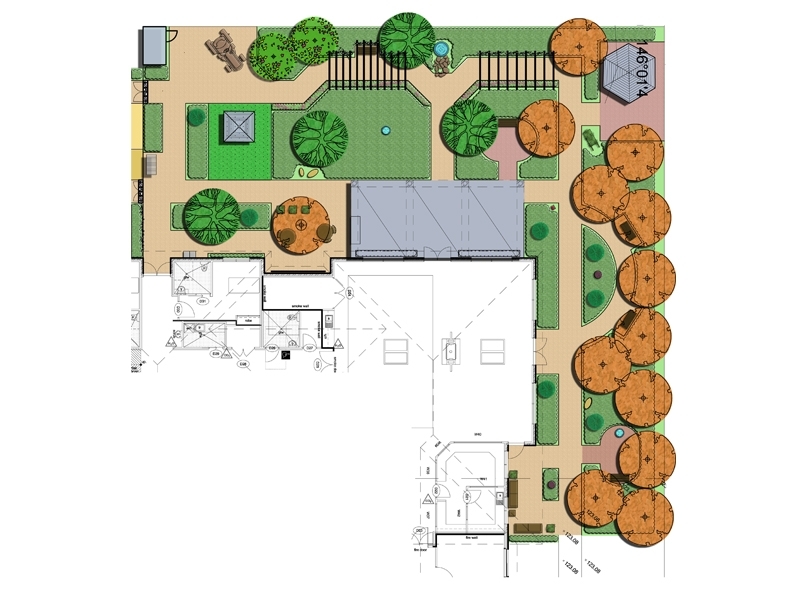 This involved designing the dementia-specific landscape to include reminiscence features like an old tractor, wheelbarrow, garden shed and weather station. Raised garden beds were incorporated for growing produce with an ease of access. A grape vine covered arbour begins a meaningful journey for the residents along a looped path system leading them past the rose garden, butterfly attracting garden to a heritage styled gazebo located to watch the interstate and regional trains rolling past.